Running shoes may not determine who the fastest marathon runner is – there’s a long legacy of outstanding barefoot runners after all – but what can shoes determine? How about if you make it through training in the first place? Among runners, ill-fitting shoes are responsible for a variety of injuries that can set back your training. And though adjusting your form can alleviate some of these injuries, at the end of the day it’s all about your shoes. That’s why you need to get professionally fitted before you hit the trail. The simplest way to understand what happens to the foot when running is to consider the foot in its neutral position. In the neutral position, the foot rests flat on the ground with minimal stress on the arch. When you walk or run, however, the foot goes through a process known as pronation: the arch flattens and weight shifts to the outside of your foot and then rolls back inward. Simply put, the foot rolls through multiple positions as part of the natural stride – but some people have abnormalities in their foot motion, causing the foot to tilt too far in or not tilt in enough. When the foot rolls too far inward, that’s known as overpronation, while those whose feet don’t flatten enough on the stride experience underpronation or supination. Luckily, choosing the right shoes can help minimize the likelihood of overpronation or supination. In many cases, overpronation and supination are the result of your arch shape. Those with flat feet are more likely to overpronate when running since their feet don’t hold up to their steps, while those with high, stiff arches tend to experience supination. And failure to correct these gait abnormalities can cause pain beyond the foot. Runners with high arches are prone to develop plantar fasciitis, which may present as heel pain and is the result of tight muscles in the feet and calves. In order to minimize this condition, you’ll need shoes that support your arches. Many people also wear braces overnight or when resting to help stretch the tense muscles, and regular foot massages can promote muscle healing. On the opposite side of the arch spectrum are those with flat feet. If you have flat feet, your body may struggle to evenly distribute your weight and cause your feet, knees, and hips to turn inward, even when you’re just standing. This can also cause poor posture as your hips fall into misalignment. Overpronation due to flat feet is a full-body problem, but choosing the right shoes can help. When a professional examines your feet to find the right running shoes, they’ll look at several factors, including whether you over- or underpronate, your arch, and the width of your foot. They may also want to look at your old running shoes; the wear patterns can help them identify how your feet hit the ground when you run. Supination typically causes more uneven wear, causing the outer edges of the shoes to wear down quickly – and that wear can actually make supination worse. Another key concern of any gait assessment is your past injuries. Certain sprains and breaks can indicate issues with your stride. Those who overpronate often have poor balance when running, which can increase the likelihood of spraining your ankle, while supinators are prone to 4th and 5th metatarsal fractures and shin splints. Getting shoes with the right support can minimize these injuries. Once you’ve had your gait and arches assessed, your shoes salesperson will recommend shoes that meet your unique needs, but they may also recommend some add-ons to give your feet necessary support. This is especially common if you have very flat feet or unusually high arches; both may require orthotics to help support the arch and prevent excessive strain on your feet as you run. And don’t be surprised if your salesperson recommends you go up a size in your shoes. A surprising number of runners wear shoes a size too small and end up losing their toenails as a result of repeated impacts. Over time, you may experience changes to your gait, including from physical therapy or ordinary training, so be sure to reassess your movement patterns between every few pairs of replacement shoes. 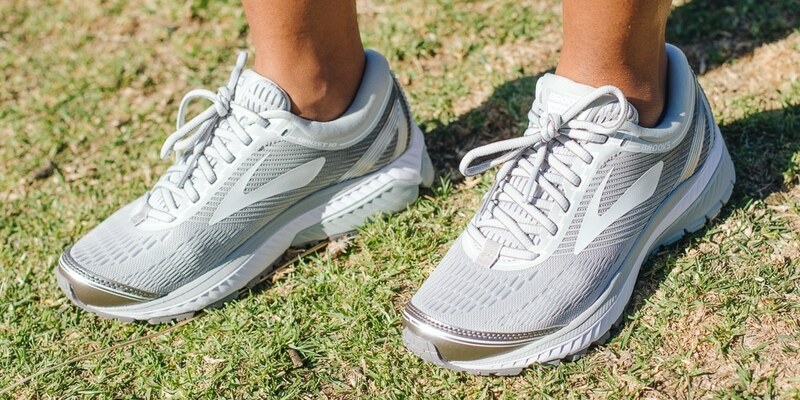 Typically, running shoes need to be replaced every 300-500 miles, so depending on how far and how often you run, you’ll be back in the shops frequently. You’ll certainly cover more ground in properly fitting shoes that help you minimize injuries than in a pair picked off the rack. Running may not seem like a dangerous sport compared to football or even baseball, but if your feet aren’t hitting the ground correctly, you can suffer serious injuries and force your entire body out of alignment. By getting properly fitted for your running shoes, however, you can minimize the likelihood of injuries, train harder, and feel better. As it turns out, running shoe fit is a lot more complicated than picking the right shoe size. What Is Periodontal Disease and How Is It Harmful to Your Health?